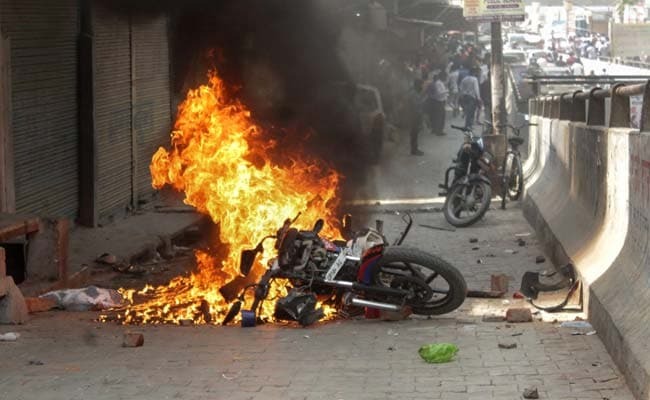 Bharat Bandh on SC/ST Act: Amid angry protests, violence erupted in parts of Punjab, Rajasthan, Jharkhand and Uttar Pradesh. Several cities including Chandigarh, Ranchi, Barmer, Alwar and Meerut, saw clashes. 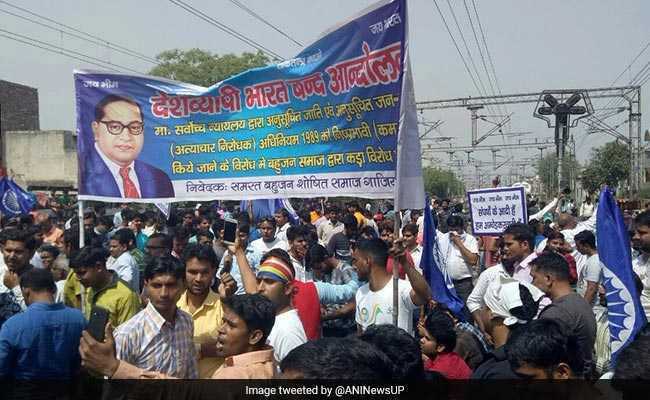 Bharat Bandh: Dalits were protesting against a Supreme Court order on SC/ST Act. Dalit organisations called for a Bharat Bandh on April 2, following the alleged dilution of the Scheduled Castes and Tribes (Prevention of Atrocities) Act, 1989, or the SC/ST Act that protects marginalised communities against discrimination and atrocities. On March 20, the Supreme Court expressed concern over misuse of the Act and ruled against automatic arrest of the booking of accused under the law and introduced the provision of anticipatory bail. This means that the arrest of an accused under the Scheduled Castes and the Scheduled Tribes (Prevention of Atrocities) Act is not mandatory and action will be taken only after preliminary inquiry and sanction by competent authorities. The Supreme Court ruled that public servants cannot be prosecuted without the approval of the appointing authority and citizens too should be arrested only after an inquiry under the law. This triggered widespread criticism from the Dalitcommunity, which claims that the top court's order will lead to more discrimination and crime against backward communities. The Centre has appealed to the Supreme Court to review the order and the case will be heard in due course. Following the call for Bharat Bandh over the dilution of the SC/ST Act, countrywide protests are being held. Punjab, which according to estimates has 32 per cent SC/ST population, has become the epi-centre of protests and has put the army on stand-by. Hundreds of protesters carrying swords, sticks, baseball bats and flags forced shops to shut in Jalandhar, Amritsar and Bathinda. Class 10 and 12 CBSE board exams were put off in the state and cellphone internet services were suspended. Bharat Bandh: Vehicles were torched, rail tracks and national highways were blocked. Violence erupted in parts of Punjab, Rajasthan, Jharkhand and Uttar Pradesh and seven people have died during the violent clashes so far. Several cities including Chandigarh, Ranchi, Barmer, Alwar and Meerut saw clashes. At some places, protesters resorted to torching of vehicles and blocking of highways. Train services were also affected as protesters blocked railway tracks in parts of Bihar, Odisha, Punjab and Rajasthan. Curfew has been imposed in Madhya Pradesh, where a student leader and four others died during clashes between the police and protesters. Two persons died in police firing in Gwalior, one in Bhind and one in adjoining Morena in Madhya Pradesh during Bharat Bandh protests by Dalit groups. The army was called in to control the situation in Bhind, and the authorities declared curfew in three districts. One person died in police firing in Alwar as protesters clashed with the police. In Ranchi, the police lathicharged protesters. In Uttar Pradesh, a man died in clashes with the police in Muzaffarnagar. Meerut saw widespread arson and clashes and across the state, 75 people, including 40 policemen, were injured. In Delhi, hundreds marched in protest against the Supreme Court's order on SC/ST Act. The protesters blocked roads outside Mandi House metro station in Central Delhi, triggering massive traffic jams. Union Law Minister Ravi Shankar Prasad said, "I wish to convey that today we've filed a petition on the judgment by the Supreme Court on the SC/ST act. We have filed a comprehensive review petition which will be presented before the court by the senior lawyers of the government." Union Home Minister Rajnath Singh appealed to all political parties and groups to maintain peace and not to incite violence. Dalit groups said the court could have come to a different conclusion had the Union government highlighted two key facts - the high rate of atrocities on the community and the abysmally low rate of conviction. Most opposition parties, including the Congress, have sided with the Dalits. Last week, a delegation of NDA lawmakers, led by Union Minister Ram Vilas Paswan, met Prime Minister Narendra Modi. Opposition leaders have met President Ram Nath Kovind to seek his intervention. Congress President Rahul Gandhi had tweeted, saying, "On the one hand, atrocities against Dalits are increasing and, on the other, their biggest weapon against atrocities is being diluted."